Pulsed phase thermography (PPT) is a well-established algorithm used for processing thermographic data in frequency domain with the aim to extract information about the defect size and depth. However, few works demonstrated the capability of PPT technique in defects evaluation in real components. The aim of this work is the assessment of capability of PPT technique in determining delaminations in CFRP components used in aeronautics. The component chosen for implementing the technique has a non-uniform geometry and the defects inside it are not simulated, but they are real and generated during the production process. The specimen has been investigated through the application of both the ultrasonic technique and the thermographic one. Thermographic phase images elaborated with a suitable computational processing have been compared with Ultrasonic C-scan images and, the agreement between the location and depth of defects has been verified. Besides, the ultrasonic technique has been used to validate the PPT results. This work was supported by the DiTECO project (Defects, damage and repair TEchniques in the production processes of large structures in COmposite - PON3 Axis I Title III) funded by MIUR. 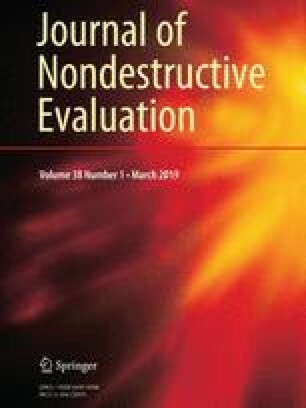 Carofalo, A., Dattoma, V., Palano, F., Panella, F. W.: ND testing advances on CFRP with ultrasonic and thermal techniques. In: Proceedings of the 16th European Conference on Composite Materials, ECCM 2014 22–26 June http://www.scopus.com (2014).